I have worn glasses since I was in the fourth grade. That means that I’ve been wearing glasses for 22 years. Yes, I do feel quite old now. 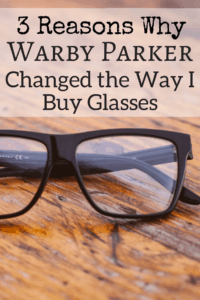 This post, Three Reasons Why Warby Parker Changed the Way I Buy Glasses, contains affiliate links. 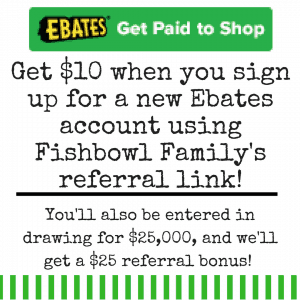 That means that if you click on a link and make a purchase, I’ll receive a small compensation at no additional cost to you. You can read our full disclosure policy here. Thank you for supporting Fishbowl Family! To get glasses, I do what most people do. I go to the optometrist. He does the tests. I read letters from a line. I struggle to keep my eyes open while anticipating the puff of air being shot into my eye. I say that number one is better than two and vice versa until he gives me a prescription. This is where the horror show begins. I take the prescription to the eye glasses store next door because I have a narrow window of not having kids with me. I laugh at the gigantic faux wood grain frames that have haunted the display case since the 70s. I gasp at the price of the designer frames. I narrow my options down until I am picking from three frames that look just alike (that look just like my last pair) and one funky frame. I wonder why they can’t just put new lenses in my old glasses. I wonder why they charge so much for these little pieces of plastic. I assure the nose-ringed girl who is “helping” me and texting her friends that I am almost done. I talk myself out of the funky frames because $300.00 is too much to pay for fun glasses. I finally give up on finding the perfect pair of glasses and resign myself to paying too much money for ho hum glasses. Then I come back to pick them up several days later. This is what I have done year after year. It has been the same whether in a mall, shopping center, or Wal-Mart. In different cities and states, it is the same. The reason the experience is always the same is largely due to a company called Luxottica. This company owns a majority of the most popular eye glasses companies effectively giving them a monopoly. If you’d like to learn more about it, you can watch this five minute video from Adam Ruins Everything. Thanks to a recommendation from my brilliant nephew, we now buy our glasses from a company called Warby Parker. Here are three reasons you should consider shopping there, too. Maybe you love getting dressed and running errands, but I love my computer and pajamas. With Warby Parker, I can pick five pairs of glasses that I’d like to try on, and they’ll ship them to my house for free. AND return shipping is free. AND there’s no limit to the number of times you can get five pairs to try on. But once you finally do make a decision, you send all the frames back in, and they put in your prescription and mail them back to you. This is game changing ya’ll. You could actually wear the frames around for a couple days and see if you like them. Imagine being able to test the fit, get your friend’s opinion, and try them with different hairstyles. You will never be stuck with a pair of frames you picked because the sales person at the glasses store was ready to go home and pressured you into an ugly pair using flattery (sad, but a true story). Buying glasses this way is so great that Forbes encouraged all businesses to adopt Warby Parker’s customer focus. If you really want to go to a store to buy Warby Parker glasses, they do have about sixty locations across the US and two locations in Canada, but you can’t wear your pajamas there. Warby Parker is kind of like the Tom’s Shoes of glasses. 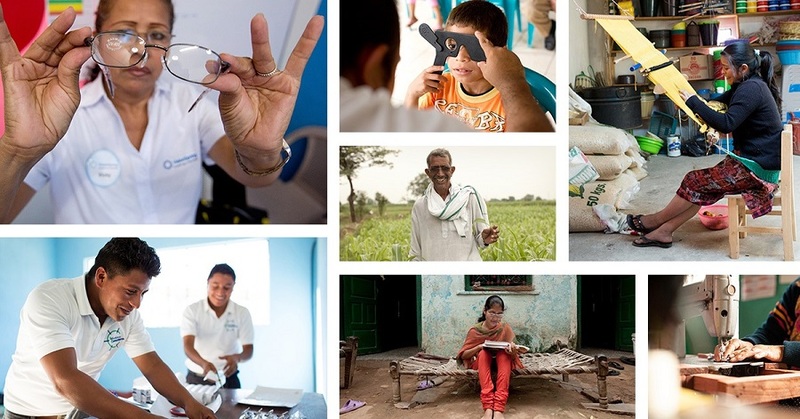 At the end of each month, they add up the number of glasses sold and make a donation to their nonprofit partners. Their partners then train men and women in developing countries to give eye exams and sell glasses at extremely affordable prices. So they aren’t just giving a product away, Warby Parker is helping to set up a sustainable economy. They’re literally training people in other countries to give eye exams and sell glasses. Having needed glasses for the last twenty years, you can guess that I’m pretty much blind without them. But my degenerative eyesight isn’t unique to the U.S. There are people all over the world who can’t see. The only difference is that I was blessed enough to have been born in the U.S. where there is easy access to eye exams and glasses. I haven’t read anything about a religious affiliation, but that looks like kingdom work. They are going into the nations and serving people. 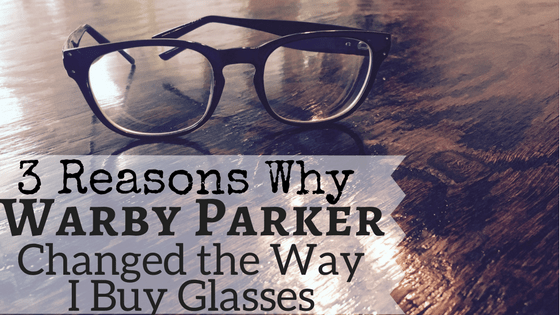 Most of Warby Parker’s glasses start at $95 a pair with prescription lenses. They also accept most Health Savings Accounts (HSA) and Flexible Spending Accounts (FSA). If you have vision insurance that includes an out of network benefit (most do), Warby Parker has an easy online form to apply for reimbursement from your insurance company. They also have some high quality, affordable sunglasses if you’re the kind of person that can keep up with nice sunglasses. I’m not that kind of person. So all of mine come from the $10 section at Target. Now if $95 still seems a bit steep for glasses, you should check out Zenni Optical. They have frames with prescription lenses that start as cheap as $6.95! And before you think that they must be really awful, cheap glasses – they’re not. They’re actually really solid and good looking. I have several friends that buy from Zenni Optical, and they are all very satisfied with their glasses. I know they like them because they frequently post selfies with captions of how cheap the frames were and how much they love them. I will never be ok with spending $300-600 on glasses, especially funky, fun glasses. But I feel pretty good about spending $6.95 or even $95. I like the idea that I can spend a fraction of the cost, have a low pressure shopping experience, and end up with more than one pair of glasses. I have heard it said that getting the right glasses is important because they are the lenses through which you see the world, but they are more than that. They are the lenses through which the world sees you. So you should be able to buy funky cat eye glasses or old fashioned brow line frames if that makes you happy or conveys your personality. So next time you need glasses skip the optical shop, put on your pajamas and buy some glasses. Have you ever tried Warby Parker or Zenni Optical? I loathe shopping, and appreciate a tip for getting glasses online!! One less time-waster! I had no idea! This is definitely worth checking out. I had lasik done and no longer wear glasses but have family members that do and I will pass this on to them. It’s like the best kept secret! But we totally love them! Thanks for sharing. ? Ooh! I need a new pair of glasses too – it’s been about 10 years since my last pair and they are on their last leg! Well you should definitely check Warby Parker and Zenni Optical out! 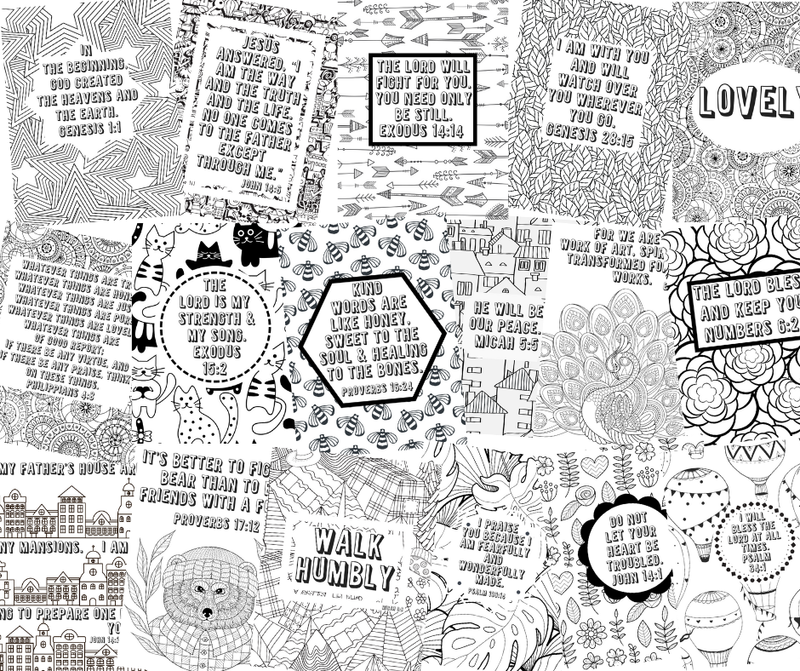 They are super sturdy, cute and ridiculously affordable. I just ❤️ them!! Wow – I’m in need of new glasses and this is super convenient, especially with kids! Now I just need to make that eye doc appointment. They just need to develop an online eye exam and I will be all set!